Both turtles and tortoises have shells and move pretty slowly. So what makes them different? And where to terrapins fit in? There's much more going on with these amazing creatures than just carapaces and plastrons. From their family ties and foot size to their habitats, these animals look, live, and even eat differently. Some of these awesome animals can live for centuries! Readers will discover which of these reptiles can survive hundreds of years longer than humans, along with a host of other fun facts. 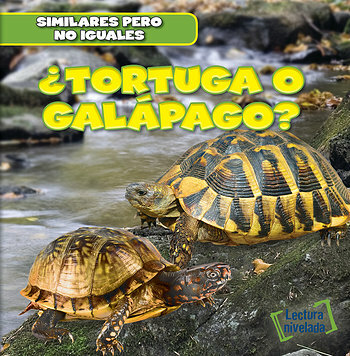 Vivid photographs of turtles and tortoises in their natural habitat add further fascination for readers ready to tackle the differences between these two reptiles.